Your cruise ship will sail you to some of the most impressive destinations on earth and, naturally, you will want to get out there and explore. In some places, you don’t need to book shore excursions, it’s easy to head ashore independently and do your own thing, but if you have something in mind that you would like to see or do during your time ashore, it always pays to book a shore excursion. 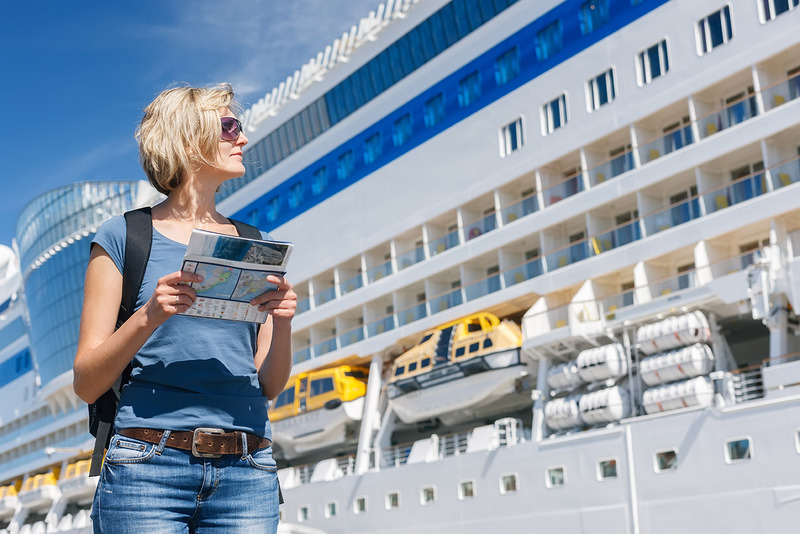 Before you join your ship, you will receive information detailing the shoreside options for your cruise, this usually includes four or more excursions in every port. Shore excursions do come at an additional cost with 90% of cruise lines and they vary in price, activity and duration. Booking directly with your cruise line is the easiest and safest option. If you take a tour directly with your cruise line and there was a delay in you returning to the port on time, the ship will wait – you will NOT be left behind. If you decide to take an independent tour and you end up running late, the ship WILL NOT wait for you and it will be up to you and down to your own expense to meet your ship in the next port. It’s quite a big gamble, but on short tours, it’s usually nothing to worry about. From experience, I recommend that you book long excursions (upwards of eight hours) directly with your cruise line and consider booking shorter tours (three, four or five hours) with an independent tour operator or plan them pre-cruise and do them on your own. So, what can you expect to see and do in port? Well, it all depends on the destination and the type of cruise you are sailing on. There are visits to ancient lands like Rome from the port of Civitavecchia, overland tours on some cruises that can take in the likes of India’s incredible Golden Triangle and the ancient civilizations of Machu Picchu in Peru. Beach days are abundant in the Caribbean and, of course, safari is going to be at the top of your list on calls to South Africa. There really is a never-ending array of options and there’s always something to suit everyone – even the most intrepid of explorers. If there are tours you want to do that were a key factor in you booking your chosen cruise, then I absolutely recommend you book these before joining your ship, to avoid disappointment. Some cruise lines will charge you for these in advance and others will simply add the cost to your onboard account, which you will settle at the end of your cruise. Other tours can easily be booked onboard. I always pre-book shore tours that I REALLY want to experience and that are full-day options. They don’t always sell out, but I never like to take that risk just in case I never get the opportunity to visit the same place again. Although most cruise lines do charge extra for shore excursions, there is an exception to that rule, Regent Seven Seas Cruises, where the fare price includes your cruise, food (including specialty restaurants), drinks, gratuities, shore excursions, flights and transfers. Sometimes other cruise lines do promote special offers on shore excursions packages, always check with your travel agent when booking to see what is available.